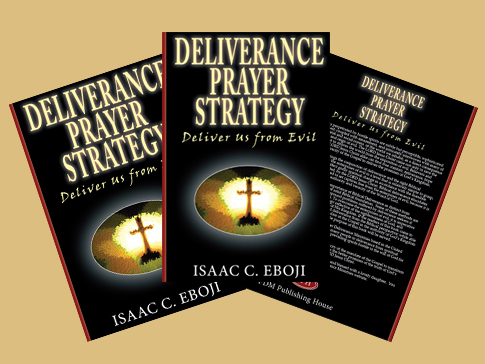 Strategic prayer is even more important now than ever before as means through which to bring a stop to satanic onslaught. It is the template on which to objectively pursue the realisation of our vision and mission; which at the heart is to propagate and demonstrate the good news of the Kingdom of God. The LORD Jesus acknowledges the powers of evil in this world and their sphere of influence and control over human affairs. To be free from their sphere of influence and control, our hearts and minds has to be conducive for a change. That change will become a reality when we confront in the authority of Jesus Christ, spiritual powers of evil responsible for hardening hearts and minds against the good news of the Kingdom of God; and influencing behaviours while consigning most people into a vortex of death, fatality, self destruction, sin, sorrow, and eternity without God. We believe in the freedom that only The LORD Jesus Christ can give through the proclamation of the Gospel and the demonstration of its power. The gospel is the good news already defined by the LORD Jesus Christ . It is also about what Jesus has done, can do and will continue to do through His people. We are called to actively participate in this cause which the LORD Himself has already fulfilled and will enable us to also fulfil. .
Winning souls into the Kingdom of God is the right and responsive attitude to the call and understanding of the cause of the Gospel of the Kingdom of God. We are called to equip as well as acquit ourselves with the goal of winning souls into the Kingdom of God. . The wicked activities of the kingdom and powers of darkness are very much in operation today as they always were when Jesus encountered them. We are called to forcefully engage the kingdom and powers of darkness; and all their works in the authority and power of The LORD Jesus Christ. By so doing will prove the authenticity of God's Kingdom to be an ever present reality; whilst also giving people confidence to believe in the veracity of what Jesus Christ has accomplished on the Cross for the world. .
Demons, evil spirits, foul spirits, and unclean spirits wicked activities of affliction, torment, oppression and possession predates even the first coming of Jesus Christ. There are many people still afflicted, tormented, oppressed and possessed by these evil spirits and we are called to free them from such wicked works in the authority and power of The LORD Jesus Christ. .
We are called to be living proof through example, conduct, life and speech that God is alive and amongst us. Living lives worthy of the calling of God must transcend the ordinary in order that more people will be attracted to the Gospel of the Kingdom of God. .